PIPERSVILLE, PA — International Audio Group Ltd. (IAG), the parent company of Wharfdale, Quad, Mission and several other professional lighting and audio brands, recently welcomed SurgeX to its roster. 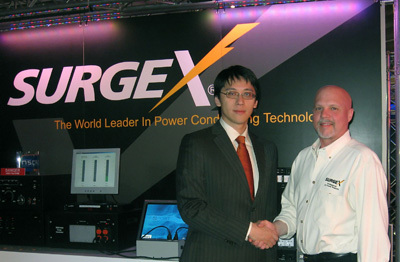 With facilities in London and Shenzhen, IAG will now be manufacturing and distributing SurgeX products globally, with the exception of North America, where Electronic Systems Protection, Inc. (ESP) of Zebulon, N.C. continues to handle the brand. “SurgeX and IAG have been working closely on expanded technology development and new products in the global marketplace for several years now, and I am confident that this partnership will finally bring SurgeX’s superior technology solutions to the entire world,” said Michael McCook, SurgeX founder and senior principal. For more information, please visit www.surgexinternational.com.